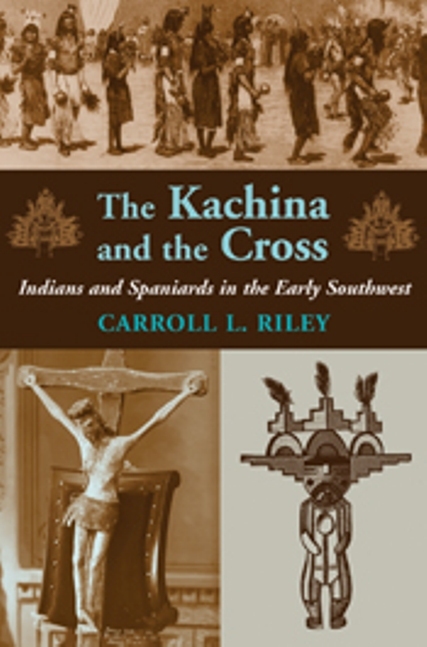 In The Kachina and the Cross, Carroll Riley weaves elements of archaeology, anthropology, and history to tell a dramatic story of conflict between the Pueblo Indians and Franciscan missionaries in the seventeenth-century Spanish colony of New Mexico. Until now, histories of the early Southwest have tended to concentrate on the Spanish presence, with little mention of Indian resistance or the decade-long war that eventually erupted. In The Kachina and the Cross Riley completes the picture by utilizing archaeological and anthropological research from the past forty years, fleshing out the story of the first century of sustained Spanish-Pueblo relations. Carroll Riley is emeritus distinguished professor of anthropology at Southern Illinois University. He is author of Rio del Norte: People of the Upper Rio Grande from Earliest Times to the Pueblo Revolt and Becoming Aztlan: Mesoamerican Influence in the Greater Southwest, A.D. 1200–1500, both available from the University of Utah Press.